In this surprising and valuable course, the serious student of Ayurveda will take a significant journey into the History of Ayurveda and the roots from Aryan, Persian and other unexpected cultural and medical influences. We will look into its origins and its influence in modern day. We explore which of the texts evolved when, and what are the special gifts of Ayurveda to find in each. 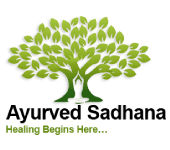 Ayurveda, directly translated as the “Science of Life”, is the world’s oldest health care system and continues to be practiced worldwide. Its roots lie in ancient times, the earliest of the Vedas, and its journey spans more than eight thousand years of spoken and recorded history.